Oh well, the calm didn’t last long did it? We’re just a couple of months since the iPhone 4S was released to an expectant public, and we are already beginning with the iPhone 5 rumors, and some of them are just plain crazy. The latest to begin circulating come courtesy of German Mac rumor site, Macerkopf, who actually has two rumors for us which they have thoughtfully rolled into one bad of madness. That’s jolly nice of them! The first part of the rumor suggests that Apple is internally testing not just dual-core iPhones like the iPhone 4S, but also quad-core handsets. We wouldn’t want to argue against that too much – it’s fairly obvious that Apple will be testing just about anything and everything at the moment, with quad-core iPhones being in test benches in Cupertino entirely likely. That said, there is a big, big difference between Apple testing something right now, and them deciding it is ready for primetime. Technology may not be ready, or Apple may simply believe that the costs are not yet right if they want to hit a certain price point. With Android phones in the midst of a CPU arms race, it is inevitable that Apple will be testing out its own super-powered handsets with a view to making them available at some point in the future. Let’s not forget, too, that the iPhone 4S is no slouch right now, with the device being one of the fastest on the market. It is the second part of this rumor which has us scratching our heads. According to the German site, Apple is also testing a variety of different screen resolutions for its iPhones, with the current Retina Display’s 960×640 apparently set to be superseded. Considering most of the competition is still struggling to compete with Apple’s Retina Display, we can’t see the next iPhone having anything other than that screen. As we mentioned earlier, though, it is almost a given that Apple is looking at all sorts of weird and wonderful things in the privacy of its own labs. The resolutions mentioned are interesting, though. The report says that Apple is working on a 720p display with resolution of 1280×720 pixels. Some Android phones are now beginning to ship with this resolution, so that is entirely possible. The other resolution being tested is 1440×800 according to Macerkopf. That is such a strange ratio that we’re not too sure about it. Still, our ‘Apple could be doing anything’ mantra still holds true. 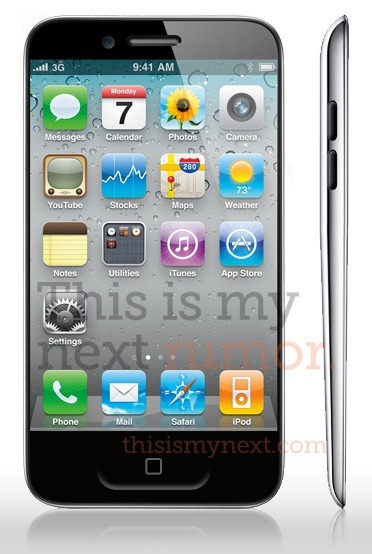 We’re now beginning to hunker down ready for the slew of iPad 3 rumors that are sure to begin in earnest from January, but could the iPhone 5 rumors really be starting too?